With the Dragon Wars over, Creel finds herself bored with life as a seamstress. Then word comes that a bordering country has been breeding dragons in preparation for an invasion. 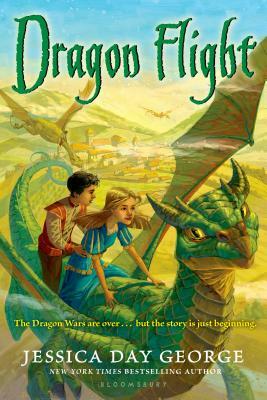 Never one to miss out on the action, Creel throws herself headlong into an adventure that will reunite her with Shardas, the king of the dragons, pit her against a vicious new dragon, and perhaps rekindle a friendship with Prince Luka. Funny, heart-felt, and action packed, new readers and returning fans alike will dive headlong into this exhilarating follow up to Dragon Slippers.